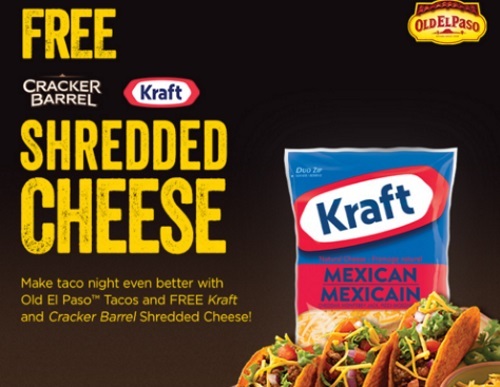 Kraft has a new offer for Free Cracker Barrel Shredded Cheese! 3. Purchase another specially marked Old El Paso Kit and Old El Paso Salsa and get a Free package of Kraft or Cracker Barrel Shredded Cheese! Maximum value $10. Coupon expires July 31, 2016.
got this the shells and sauce was on for 3$ each at Food basics great deal!